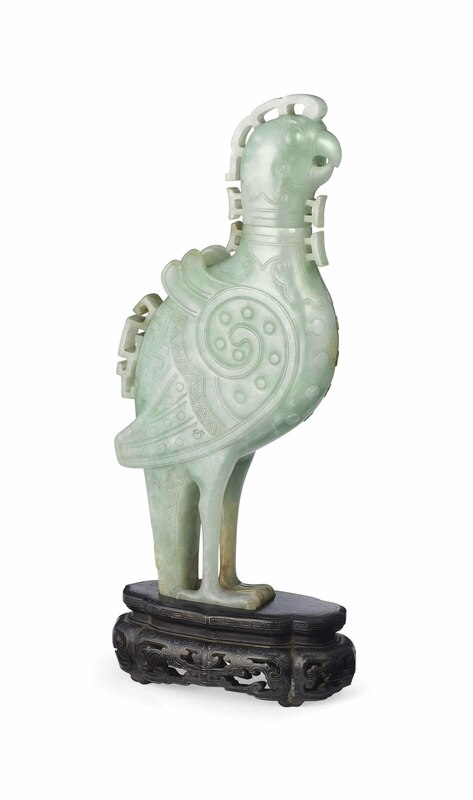 The bird stands tall with a notched flange to its back and decorated with archaistic designs over the body. The cover is formed as the bird's head. The stone is of an apple-green tone with some paler areas and some russet inclusions.